With the high numbers of pets that are lost each year, you might need to think about a solution to keep yours safe, especially if your little companion loves venturing outdoors alone for long distances. 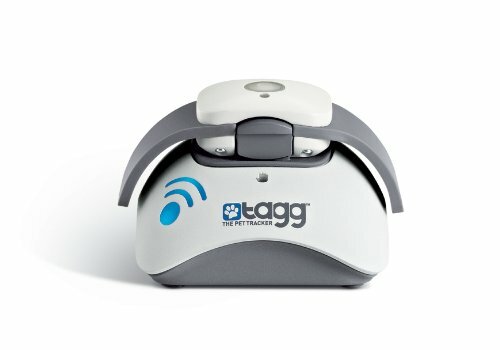 The Tagg pet tracker is an award-winning device that puts you in control. Its user-friendly technology includes a connection to the nation’s largest wireless network that ensures you’ll be able to determine your dog’s location anytime and anywhere. Moreover, its software monitors the pet’s activity and safety more than a million times a day, which virtually means having a real-time flow of information. The included app also allows you to monitor your pet’s daily activity level, this way ensuring that his or her needs are being constantly met for a healthy development and active lifestyle. The package includes 1 tracker, 1 docking station, a collar clip assembly, the power kit, and a quick start guide. With instant notifications on your dog’s whereabouts delivered by using smart technology, this device ensures real-time results. However, the Tagg tracker is not recommended for dogs under 10 lbs. With this in mind, let’s take a look at what some of its most important features are and what benefits they bring. Unlike microchips that don’t alert you if your dog is lost, don’t show his or her location and, most importantly, requires specialized facilities for scanning, this device is very easy to use and also brings you all of the necessary information. To get it to work, all you need to do is attach it to your pet’s current collar. Since the design is specially made to fit most collars, this should not be an issue. The recommendation of not using this device for dogs under 10 lbs. 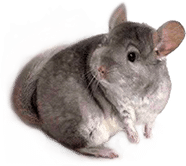 is due to the fact that their collars might be too small and that the device itself might be on the heavy side for your little friend. Once placed on the collar, it can be easily connected to the mobile app that will enable you to track your pet’s location and monitor his or her activity. What makes this Tagg GPS pet tracker even more useful is the interactive map feature that you can use to get direct indications to your dog’s location. This is particularly beneficial if you are not in a known area, so it’s harder to determine the shortest way to reach his or her location. Plus, if it’s a potentially dangerous situation, it enables you to act more effectively. If you are traveling with your pet for long distances, there’s a higher chance that stressful or exciting situations appear, that can make him or her run away for significant distances, but with the interactive map, you’ll be able to track everything and reach the location right away. The award-winning mobile app this product uses is a convenient way to constantly stay in touch with your pet. You can receive alerts, determine the location on the map and get direct indications toward it, but you can also monitor the daily activity levels. Suitable for both iOS and Android smartphones, this app is your most reliable partner when it comes to knowing how your pet is doing every single moment. Given its compatibility, there’s little to worry about when it comes to easily using the device. If you want to be proactive about your pet’s health, the Activity Tracking feature allows you to be thorough in your objective. Generally, vets recommend that a pet should get between 30 and 60 minutes of exercise per day, and you can now monitor and see if this is actually happening or not. Besides the data available in one simple view, you can also set goals and compare activity levels from one day to the next, this way spotting long-term changes as they happen, as well as various trends in activity levels. You can share this information with your pet’s vet and get a better idea on how you improve his or her lifestyle. Although the device features a lightweight construction, it’s engineered to withstand your pet’s daily activities that can include pretty much anything, even swimming. The waterproof construction definitely comes in handy, especially if you are planning to use this device for hunting as well. When it comes to this product, most of the customers are very happy with the way it performs. Its user-friendly construction is one of the first things mentioned since you can easily set it up and get it to work right away. Moreover, the fact that it comes with different alerts is very practical for the users. These might consist of messages that let you know your pet is out of the pre-defined safe area or that the battery is running low and it needs to be replaced. All of these benefits and many others make the Tagg dog tracker one of the sought-after alternatives available on the market. There were even users who have tested its accuracy by going around the neighborhood while holding the device. They have then reported that it performed as expected, as it indicated a highly accurate location thanks to the high-sensitivity GPS technology it includes. Some of the less positive aspects mentioned by reviewers were that there’s a chance the device might fall off the collar if there’s an intense activity going on, so you might need to come up with a solution to make sure it remains securely in place. This can be particularly the case for smaller collars. If you decide to give this tracker a try, you will enjoy the benefits of knowing where your dog is and what he or she is doing on your own. The included technology offers precise results, making this highly effective, while the lightweight design ensures that it doesn’t hinder the pet during use. 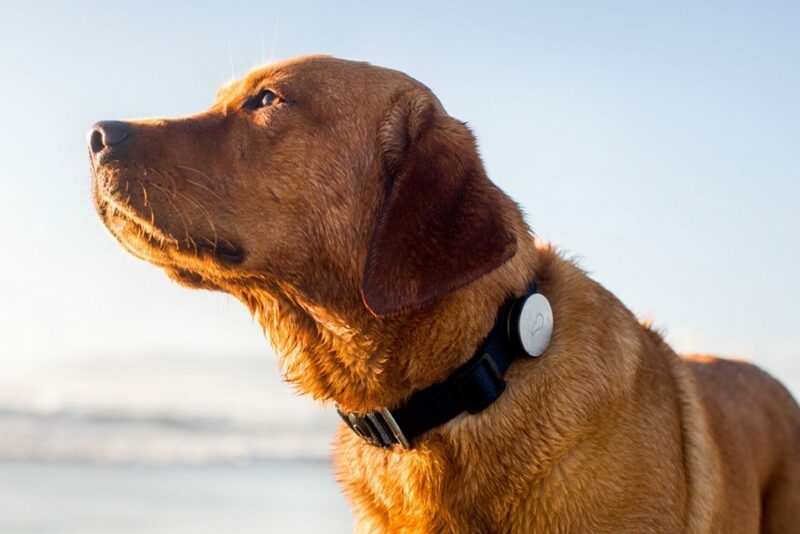 Moreover, the fact that it’s sturdily built and that it features waterproof capabilities means that you don’t need to worry about varying weather conditions as you use it to track your dog, while the fact that the app allows you to personalize messages with your dog’s details makes it all the more enjoyable for some users.